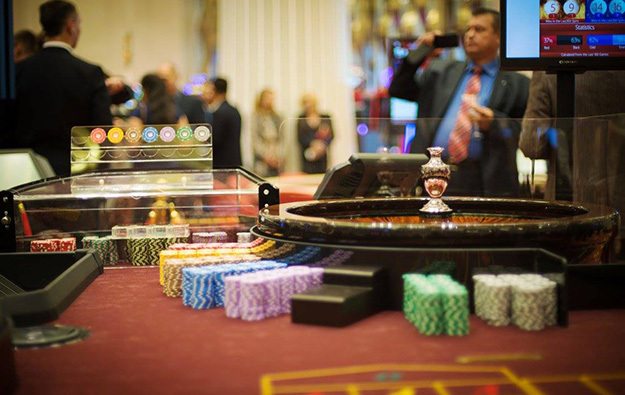 Summit Ascent Holdings Ltd, the lead developer of the Tigre de Cristal casino resort (pictured) in the Russian Far East, reported total revenue of HKD207.8 million (US$26.5 million) for the first six months of 2018, a modest increase of 1.5 percent from HKD204.6 million in the prior-year period, the company said on Friday in a filing to the Hong Kong Stock Exchange. Summit Ascent posted a net profit of HKD2.6 million for the first half of the year, compared to a loss of approximately HKD5.4 million a year earlier. Adjusted earnings before interest, taxation, depreciation and amortisation at Tigre de Cristal were HKD66.8 million in the first half of 2018, up 17 percent year-on-year. Revenue from gaming operations increased to HKD190.7 million, compared with HKD182.6 million in the first six months of 2017. Revenue from hotel operations – which mainly relies on VIP guests – fell by 22 percent year-on-year, to HKD17.1 million. The improvement in the half-year results was despite a decline in rolling chip volume in the firm’s VIP business. Rolling chip turnover in the first half of 2018 stood at HKD6.51 billion, down 22.6 percent compared to HKD8.40 billion in the year-ago period. The growth in the mass-market segment however offset the decline in the VIP business, becoming the main revenue contributor for the property. Mass table business saw “a significant improvement” with revenue increasing by 47 percent year-on-year to HKD83.5 million in the six months to June 30. “Since the beginning of the year, we have been under increasing pressure from agents currently working at Tigre de Cristal requesting higher levels of rebates,” said Summit Ascent in its Friday filing. The company said that instead of “giving in to such pressure” – which would result in a “substantial erosion” of margin – the firm’s management decided to focus its efforts on developing its own premium mass business, “targeting Asian players”. Summit Ascent said however that it sees the “need to diversify” its cooperation with junket operators in order to “resume the growth trajectory” of its rolling chip business. “We are actively negotiating with some Macau-based agents to achieve this goal,” it added. Grant Govertsen, an analyst at Union Gaming Securities Asia Ltd, said the brokerage expects Summit Ascent to “experience a sharp decline in VIP volume [in the second half of 2018], followed by a more modest decline in 2019”. Union Gaming’s forecast could be “partially mitigated” by the addition of new junkets, said Mr Govertsen in a Monday note. The Hong Kong-listed firm said it is currently refining the design and construction requirements for the expansion of its Tigre de Cristal property. It said it expects to open the first stage of Phase II for operations “in the latter half of 2020”. “We are currently finalising design and financing options so that we can commence construction in the spring of 2019,” said the firm. In Friday’s filing, it flagged alterations in the design of its Phase II project following the departure of a “substantial shareholder” of the company. In late December it had been announced that Asian casino investor Lawrence Ho Yau Lung had stepped down as chairman and non-executive director of Summit Ascent. The move followed Mr Ho’s decision earlier that month to sell off his 17.4-percent stake in the firm. The disclosure didn’t mention the reason for that sell-off decision.